I first read Stewart when I was a teenager and I believe that her work helped to shape my own writing style. I still enjoy her books and maintain that she was a remarkably innovative author, introducing a new style of heroine, one who was intelligent, independent, and capable of rescuing herself and, on occasion, the hero from the dangers that beset them. The balance between mystery/adventure and romance is skilfully maintained, with the two elements woven together and driving forward to a satisfying and cohesive conclusion. In an interview with Raymond H. Thompson in 1989, Stewart said, ‘I've written stories since I was three and a half, and I think you're either born with the storyteller's flair or you're not. You can learn much about the craft of writing, but you either have the storyteller's flair or you don't. It's no virtue of mine. It's just there.’ It’s undoubtedly true that Stewart is a master storyteller, but I believe that all storytellers have been influenced by what they themselves have read, especially in their formative years. Stewart has acknowledged the influence of Rosemary Sutcliffe and Mary Renault on her writing (so much so that she would not read Renault when she was working on her own books) but this appears to refer mainly to her magnificent historical quartet, featuring Merlin, and, to a lesser extent, to her children’s books. While re-reading some of Stewart’s main body of work, which is now classified as romantic suspense, I wondered if any of the authors of the Golden Age had helped to lay the foundations for Stewart’s unique mixture of romance, mystery and adventure. I must emphasise that many of the links that I have found are a matter of interpretation, apart from the obvious links between The Ivy Tree (1961) and Josephine Tey’s Brat Farrar (1949). Mary Stewart was born in 1916. Her maiden name was Mary Rainbow. She was the daughter of a vicar and, although the family were not wealthy, she was a clever girl who attended Durham University and achieved first-class honours in English, followed by a first-class Teaching Diploma and a Masters’ degree in 1941. For the rest of the Second World War, she held various teaching posts, including working as a temporary lecturer in the English Department at Durham University. It was here that she met her husband, Frederick Stewart, a lecturer in Geology. They met at a VE Day dance and, after a short engagement, were married in September 1945. A year later, Mary Stewart suffered an ectopic pregnancy that left her unable to have children. Frederick Stewart became an eminent scientist, professor of geology and mineralogy at Edinburgh University and later chairman of the Geology Department. In 1974 he was knighted, although Mary Stewart did not use the title Lady Stewart. Frederick Stewart died in 2001 and Mary Stewart in 2014, aged ninety-seven. I looked for correlations with Stewart’s work in two of the foremost Golden Age authors who also had a strong romantic thread running through their books, Agatha Christie and Patricia Wentworth. On the whole, when I considered the love interests in their series detective books, I could find little similarity to Stewart’s lively, courageous heroines. One exception to this is Christie’s The 4.50 From Paddington (1958). Lucy Eyelsbarrow, is a peripatetic, professional cook and housekeeper whom Miss Marple, now a very old and frail woman, employs to investigate a crime that the police are unwilling to concede occurred. In this book, although Miss Marple solves the murder, much of the narrative follows Lucy, who plays a very pro-active part and ends up with two men both eager to marry her. Christie enjoyed subverting the genres, whether romance or crime, and teases the reader to the last by refusing to reveal which of her suitors Lucy is going to choose. Another Christie series book that might be described as romantic suspense is The Secret Adversary (1922), the first of the books featuring Tommy and Tuppence Beresford. In this book, Tuppence is introduced as a young single woman who goes into partnership with Tommy, styling themselves The Young Adventurers. Tuppence is the driving force in solving the mystery surrounding Jane Finn and, in doing so, finds love. The Secret Adversary is more of an adventure story than a straightforward mystery and, like Madam, Will You Talk?, over thirty years later, uses the aftermath of world war as a pivotal point of the plot. It is in Christie’s romantic adventure stories that heroines with something of Stewart’s calibre emerge. These are young women who grasp an opportunity and plunge into adventures. In The Man in the Brown Suit (1924), Ann Bedingfeld follows up her disquiet about the apparently accidental death of a stranger and, in doing so, finds foreign travel and adventure, and, of course, love. In such a manner of grasping at opportunity, in My Brother Michael (1960), does Stewart’s Camilla Haven, her engagement to an overbearing man newly broken and striking out for herself for the first time, undertake to drive a car that has been left with her in error from Athens to Delphi, in the hope that she can deliver it to a man known only to her as Simon. Victoria Jones, the gloriously reckless heroine of Christie’s They Came to Baghdad (1951), is even more active in her pursuit of both adventure and of the young man who has engaged her interest, although Christie delights in misleading the reader by confusing the identity of the villain and the hero, as she also does in Why Didn’t They Ask Evans? (1934) and The Seven Dials Mystery (1929). In the latter two books and in The Secret of Chimneys (1925), Christie offers the reader lively, flippant, aristocratic girls seeking out adventure and finding romance. 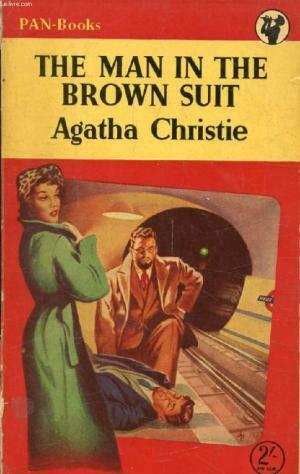 Indeed, many of Christie’s romantic adventure stories have a tone of a Wodehouse farce and, in this way, they are very different to Stewart’s books, where the adventures are entered into in a more serious manner. Also, on the whole, Stewart’s heroines are better educated, usually making their own way in the world, and basically more earnest. Patricia Wentworth is best remembered for her Miss Silver novels, and in these the heroines range from reasonably sensible people to ineffectual young women, often bullied by those around them, who require a strong man to support them. Indeed, many of the heroes in the Miss Silver books are young men with a military background and firm opinions regarding the roles of men and women. It seems that, with Miss Silver to save them, the hero and heroine who supply the love interest may be reduced to mere ciphers. Hilary Carew in The Case is Closed (1937) is the honourable exception to this; she is a lively and independent heroine who is determined to discover the truth about the murder that her cousin’s husband has been convicted of committing, but even she requires her strong, and still devoted, ex-fiancé to come to her aid. It is in Wentworth’s stand-alone novels that her true romantic heroines come into their own. Many of Wentworth’s novels are fast-paced (and implausible) espionage adventures. Indeed, the penniless but adventurous Jane Smith in The Astonishing Adventure of Jane Smith (1923) bears striking similarities in situation and outlook to Victoria Jones in Christie’s They Came to Baghdad (1951). It is interesting to note that in The Gabriel Hounds (1965), Stewart uses the same device as Wentworth in The Astonishing Adventure of Jane Smith, of two cousins whose parents are twins and share exceptional closeness. Many of Wentworth’s stand-alone novels share the narrative between the hero and heroine, with the heroine often intervening to rescue the hero, as in Outrageous Fortune (1933) where Caroline Leigh steps in to save Jim Randal when a head injury robs him of his memory and leaves him prey to villains. Perhaps the Wentworth novel that is closest to Stewart’s work is Touch and Go (1934), in which Sarah Trent takes on the position of governess to Lucilla Hildred, a seventeen-year-old orphan whose parents were killed in a car crash. Lucilla has been left under the guardianship of relations and soon Sarah, who is also an orphan and alone in the world, is convinced that something is very much amiss, although at first she is uncertain whether Lucilla’s life is in danger from somebody close to her, or whether the girl is creating fake threats to her life in order to gain attention. Sarah is determined to safeguard Lucilla but is in the difficult position of not knowing whom to trust and is unable to put her faith in the man she is beginning to love because a vulnerable child’s safety is at stake. 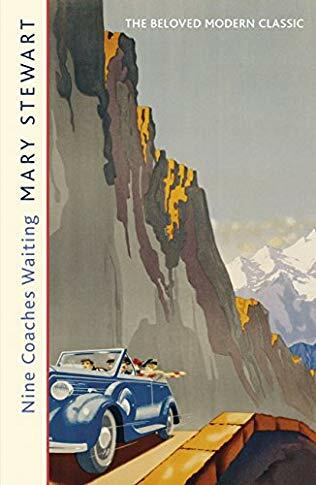 In Stewart’s Nine Coaches Waiting (1958), Linda Martin has taken a job as nursery-governess to nine-year-old Philippe, Comte de Valmy, who inherited his title and estates when his parents were killed in a car crash. In her eagerness to return to France, a country she loves, Linda deceived here employers, Philippe’s uncle and aunt, and pretended to speak little French. Philippe’s aunt had explained that she wished Philippe to learn to speak English and a governess who spoke no French would facilitate this. Linda, who is also an orphan with nobody to turn to, soon over-hears snippets of conversation that make her uneasy and, when apparent accidents start happening that endanger Philippe’s life, she believes that she has to choose between the man she loves and the child who is in her care. 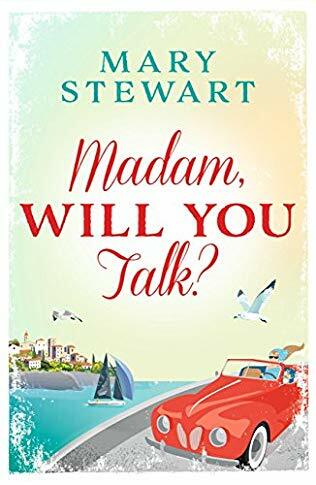 Stewart shows her double mastery of adventure and romance when, after a desperate flight with Philippe through the French countryside at night, at last Linda has to explain her actions and her lack of trust. With the exception of Vanessa March, Stewart’s only married heroine, who is a qualified veterinary surgeon but has only practised in a voluntary capacity, (Airs Above the Ground, 1965) and Jennifer Silver whose over-protective mother had ‘hurriedly replanted the briars around her sleeping princess,’ (Thunder on the Right, 1957), all of Stewart’s heroines have or have had jobs, which vary between acting and modelling and staider occupations, such as teaching. Even spoiled, rich Christie Mansel has spent some years working for a television company (The Gabriel Hounds, 1967.) With the exception of Thunder on the Right, the narration is in the heroine’s First Person viewpoint, which adds to the power and intimacy of the reader’s experience. Although the Stanhope story is a wonderful inspiration for any novelist and Stewart lists the formidable amount of research, she did for The Gabriel Hounds, it was be noted that both The House at Shiraz and The Gabriel Hounds are imbued with the same atmosphere of theatrical unreality, Oriental trappings and rings of extraordinary value. One of Stewart’s books has an undeniable origin in the work of a Golden Age writer. The Ivy Tree (1961) is cleverly derived from Josephine Tey’s Brat Farrar (1949), which in turn was partially based on the story of the Tichborne Claimant. In The Ivy Tree, a chance encounter leads a young woman, newly arrived from Canada, into a conspiracy to pretend to be Annabel Winslow, the granddaughter of a prosperous farmer, Matthew Winslow. The motive behind this plot is that her conspirators wish to gain possession of the farm, Whitescar, after Matthew’s death. Brat Farrar, is used as the ‘text-book’ while preparing the deception. ‘With all the methods outlined in Brat Farrar as our modus operandi, Lisa had taught me all the facts about Whitescar, its environs, and the house itself, in those afternoon sessions during my three-weeks’ apprenticeship. And, like the imposter-hero of the book, I soon found myself to be not only involved, but even excited by the sheer difficulties of the deception. The thing was an adventure, a challenge, and, I told myself (with how much self-deceit I didn’t pause to consider), I would, in the long run, do no harm.’ The Ivy Tree is a remarkable example of how the First-Person narrative can be used to enlighten and deceive the reader at the same time, a technique at which Christie had excelled. Between 1970-83, Stewart focused mainly on her outstanding quartet of medieval novels featuring Merlin. The influence of these novels is evident in her only romantic suspense novel of the 1970s, Touch Not the Cat (1976), a novel with supernatural overtones and many Gothic tropes, in which the heroine, Bryony Ashley has telepathic links with a man she is in love with, even though she cannot be certain of his identity. 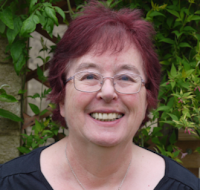 In the years following the Merlin quartet, Stewart continued to write but it is generally acknowledged that her romantic suspense novels lack the power of her earlier work. Her first ten novels, from Madam, Will You Talk? 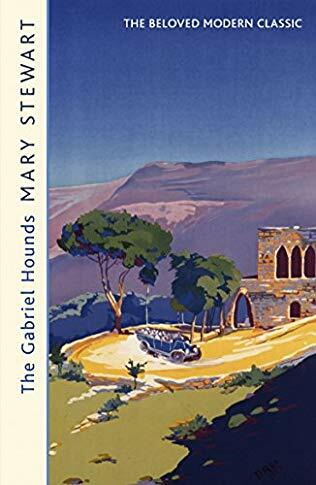 (1955) to The Gabriel Hounds (1967) are remarkable for the cleverness of their plots, courageous, intelligent heroines and vivid, atmospheric settings, and Stewart’s love of literature, Roman history and ancient mythology shine through them. In these early books, as well as her historical work, the influence of Mary Renault is clearly visible in the richness of her narrative style, but it seems probable that writers such as Christie and Wentworth may have helped to lay the foundations for Stewart’s mixture of romance, adventure and mystery by their own bold combination of these ingredients. All of the books mentioned in this article are available, either as paperbacks or e-books, or both.